The biography of Danish trumpet player, arranger, and kapellmeister Helmer Olesen has recently been published online @ www.andtheconductoris.eu. Helmer Olesen (1934-1997) started his career in music as a vibraphonist and trumpeter, playing in different dance bands and going on a world tour with Bob Azzam’s orchestra, which scored a huge European hit in 1960 with 'Ya, Mustapha'. In the 1960s, he returned to Denmark and became a much sought-after studio musician and arranger. 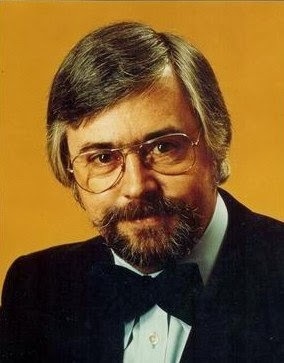 Olesen arranged almost all of the hit successes by Johnny Reimar and Birthe Kjaer in the 1970s, whilst he also teamed up with Otto Brandenburg, Peter Belli, and American gospel legend Clara Ward. Until his untimely death, Olesen led his own big band which played in Copenhagen's Tivoli Park each summer season. Helmer Olesen arranged and conducted the 1978 Danish entry, ‘Boom boom’ by boy band Mabel, which finished 16th in the Eurovision Song Contest in Paris. It was the first Danish participation since 1966.